This has been a month, guys. I’ve been doing a lot of things–a lot of yoga, a lot of writing, a lot of reading, a lot of fitness, just a lot. All the things. And amidst all those things, I forgot to post this in a timely manner! I think this is the first time I’ve actually done that, so I’m pretty proud that it hasn’t happened before. I picked up Erin on Friday, and we had a hellishly good weekend. Friday was mostly a travel day, but Lemon Tree’s open house was in the afternoon, and then it was Olive Garden and BOOKS. Yes, I bought more books. Yes, my TBR shelf hates me. Yes, I am insane. Saturday, we did high tea and the ballet (Romeo & Juliet this time). Sunday was beach with the coats on, don’t worry, we just wanted to look at it. It was also the boys boys boys day because YES, it’s official, Pen boys draft two is coming next. And today was the oh boy we did a lot let’s just hang out day (which somehow meant walking through Crane Estate in Ipswich through the snow), plus more travel. Now, I’m back in my bed with my girls, I’ve got Saints 2 ready for edits, incense burning, and tea in my super cool new Aries mug. Anyway, enough of all that, enjoy March’s books! Review: I’ll be honest: I was super hyped about this book. 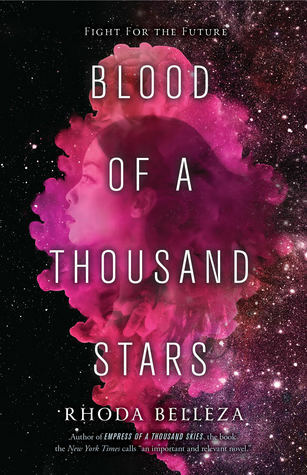 I read and loved Empress of a Thousand Skies (my review for it can be found here), and I preordered this as soon as it went up on Amazon. And while it was good, it was a bit of a letdown. But first, what is this about? Empress follows Rhiannon on her journey to uncovering a nefarious plot to assassinate her entire family and take over the throne, as well as Alyosha’s life in exile after the universe is unfairly turned against him. Blood follows these same two characters, as well as adding in a third, Jocelyn. Rhiannon has taken the throne, and is trying to establish peace. Alyosha isn’t really on the run anymore since his name was cleared, but he still is since he’s trying to keep Jocelyn safe. And Jocelyn just wants the universe to leave her alone. This was good. It was. It just wasn’t great. It needed so many more pages, and it needed to slow down. One chapter, we’d be on a planet with Aly and Joss, and the next, we’d be on a different planet, but also weeks in the future, and not knowing what Aly and Joss were up to since we were following Rhee around. The three stories did weave together nicely, and ended up coming together toward the end. Like the first book, there wasn’t a ton of romance going on, and while I appreciated it in the first book, I definitely did not in this one. The relationship between Aly and Joss had already been established, and I wanted to see just a little more of them while they weren’t fighting for their lives. Just one or two quiet scenes to make me really believe that they were falling in love rather than just being told they were. And oh, Rhee and Dahlen. I was fine that nothing happened between them (even though otp 5eva over here for this series with them), but I wanted to see just a little more of Rhee’s thoughts about Dahlen. She was very obviously feeling something, but it wasn’t explored at all. My previous issue with the first book stands for why I docked this a star. Again, there wasn’t a whole lot of description, and we’d just be dumped on planets and expect to know where they were in relation to everyone else and what the environment looked like. Overall, the pacing and the lack of descriptions knocked this down a little for me, but I did still really enjoy it, and I spent a furious last hour reading the ending because it was so big and wild. Review: This was a book that pulled at my heart strings. It was so soft and understated. It follows Sparrow, a young teenager who was discovered standing at the edge of the roof of her school and is now in therapy because they think she was suicidal. Little does anyone know that she was just flying with the birds. Everything about this is beautiful. The music, the language, the story itself, the characters, that cover. It did a really lovely job with handling the mental health aspects within, both with Sparrow and with her mom, her friends, and her therapist. 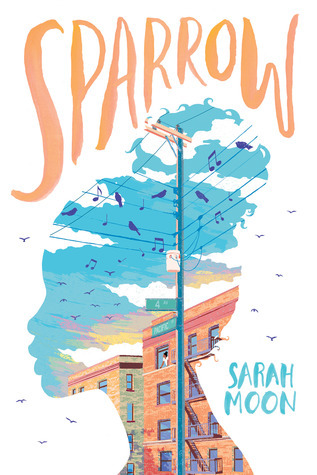 There were so many levels to Sparrow, too, that were very slowly uncovered, and watching her grow throughout different events felt like something I had earned as the reader. All of the secondary characters in this had really strong personalities and places in the story. Everything combined just made this a truly beautiful story. 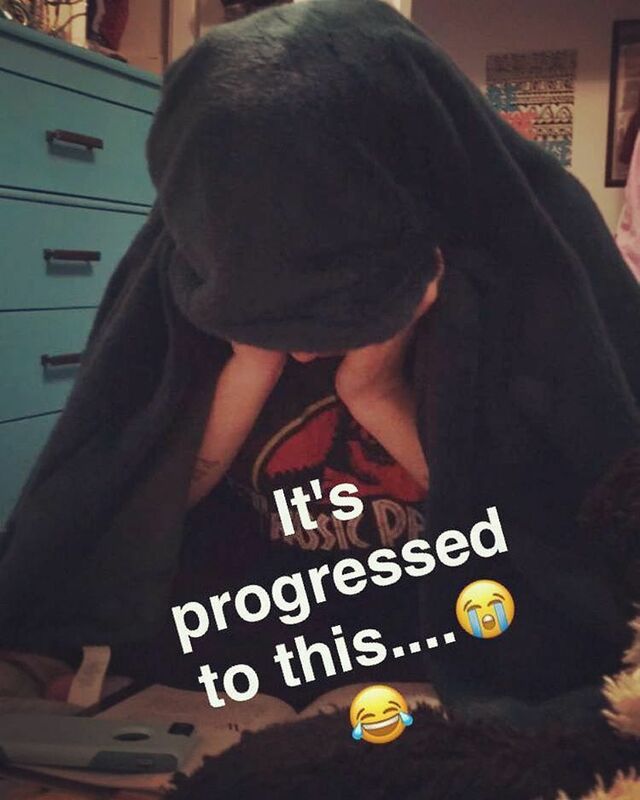 That’s me, circa April 2017, absolutely losing my mind reading Traitor to the Throne. When I tell you these books will dismantle all of your abilities to function as a normal human being, I’m not lying. This is the third, and final (I’m so sad), installment in the Rebel of the Sands trilogy, and it was a WILD RIDE, LET ME TELL YOU. In the first one, we meet Amani, who is just a nobody girl from a nobody town, who, in the course of one book, accidentally joins a rebel army fighting against the entire freaking country, basically becomes one of the Rebel Prince’s most trusted advisors, discovers that not only is she a badass with a gun, but she also has magic powers passed down from a Djinn, and oops, oh wait, is probably going to save the world. And that’s just Rebel. Clearly ^^^ Traitor was similarly ridiculous and all things amazing, so when Hero was coming out, I preordered a copy for myself and one for my roommate so that we could read it at the same time, and spent three days in a reading coma. THIS WAS SO GOOD. This was honestly the most perfect ending to this trilogy ever. I’m not going to spoil it, but wow, you guys. If you liked Rebel, YES. YES, THIS WAS EVERYTHING. If Rebel sounds good to you, READ IT. Do yourself this favor. 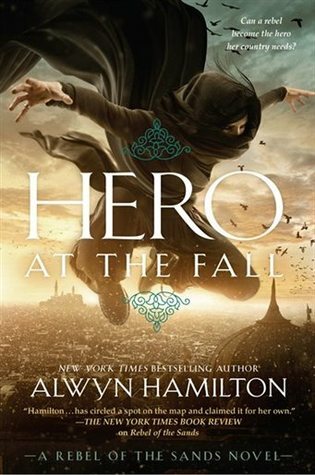 This trilogy is just action, romance, magic, plot twists, gorgeous language, HOLY MOLY the descriptions, did I mention romance because hold up, it’s great, and it will leave you wanting so much more right up until you get to those last few chapters and PRAISE ALWYN. She ended it the way I ended Saints 2, and that’s with a few chapters of wrapping everything up in a nice, tidy bow so that we know just how exactly the characters lived happily ever after, and I’m so thankful for that. Ugh, this book. Review: I went into this with unrealistic expectations. This is the first of a prequel trilogy to Six of Crows, and by prequel trilogy, I really just mean set in the same world and in a previous time period, but with different characters, so you don’t have to read one to read the other. Now, if you remember my four paragraph review of Six of Crows where I basically pledged my undying allegiance to Kaz Brekker, you can imagine how amped I was about finally starting this. And it did not disappoint! That was all very misleading. I did give it only four stars because the writing was a little less than it was with Six of Crows, but Bardugo wrote this before that duology, so that’s to be expected. 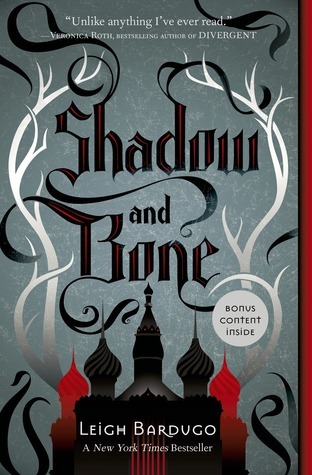 Shadow and Bone follows the story of Alina Starkov, which we meet briefly in the Crows duology, and her journey to discovering that she is actually Grisha (a human born with magic) and her whole life has been a lie. Oh man, guys. The world. The world. This is the one thing I’m always going to just rave about when it comes to Bardugo’s novels. Her world is so vast and well-developed and incredible. I just want to live in it. In all parts of it. I hope that someday I can create a world that’s as intricate and gorgeous as hers. The characters in this were phenomenal, too, and I distinctly remember texting my friend, Alex, that I was Team Darkling all the way, and her just going, oh just wait. Admittedly, I’m still a little Team Darkling because I love myself a good villain, but damn, that hurt my soul a little. This was lovely. It really, really was, and I can’t wait to read the next one. Review: I unexpectedly loved this! I don’t know why I thought I wasn’t going to, but I kept avoiding picking it up off my TBR shelf, and now, I’m definitely going to read the rest of the books in the series. This follows Ceony on her adventures of learning the art of magic via paper. Once you bind to an element, that is the only one you can ever work with, and Ceony is less than pleased that she’s been chosen to work with paper. Not only that, but her tutor is rather odd and she doesn’t think this form of magic is going to get her anywhere special. Going into this, I didn’t expect a whole ton. It’s only about 225 pages, and the beginning was a little slow, but damn, when this kicks off, it really moves fast. So much happened in so little pages, and it was so well done. This was really just such a lovely little book. It was charming and a little bit adorable, and I really enjoyed it. Review: Alright. I’ve talked about Walton’s other book before, The Strange and Beautiful Sorrows of Ava Lavender. It was, hands down, my favorite book of 2016, and might be one of my top favorite books of all time. Because of that, this book was probably one of my most anticipated of 2018, and while I enjoyed it, I was pretty disappointed. 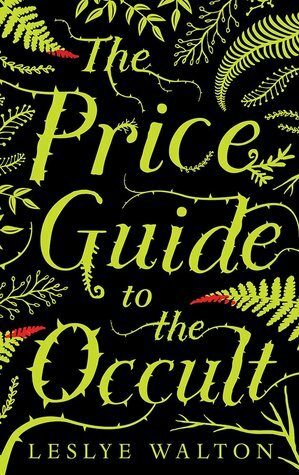 Price Guide follows Nor Blackburn, a witch from an infamous family who is just trying to live a normal life and be as unremarkable as possible. However, when a book is released, The Price Guide to the Occult, it’s with spells and secrets from Nor’s first ancestor, Rona Blackburn, that should have died with her. First things first. The plot is excellent. Walton crafted a really interesting and unexpected story all over again. This is not something I think I’ve read in the witch world before, and it was very intriguing. The characters are excellent. Each one stands out from the others, and it was very easy to follow along with each of them. I was concerned about all of their well-beings, and was very eager to follow their stories. The setting is excellent. An island was a neat little place to play out this story, and the way the island reacts to Nor was just lovely. It was, in the end, the execution that disappointed me. While the plot is great, the story jumps around constantly. An entire year happens throughout the course of this novel, and while that’s fine, it was unbelievable. One moment, Nor will be describing the island withering and dying, and it really does look like something terrible is coming, but then two months go by, and I just found myself not at all believing that they would have continued living on the island with what was going on. While the characters were great, sometimes I didn’t quite understand what and why they were doing certain things. This was mostly with Gabe, who kept switching between being outright awful and suddenly very sweet? I also kept expecting Reed to turn against Nor because he was just so understanding when anyone else would have run for the hills because Nor literally tells him nothing until the last possible moment. I was also just constantly disappointed by Nor’s mother, Fern. She was expected, and her ending was stretched out so long before it was just over with no warning. Overall, I did like this book, but not nearly as much as I had hoped. 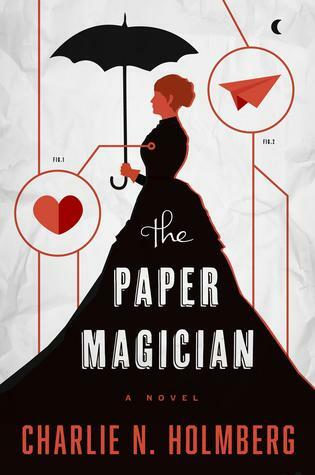 Review: I was a little wary about this book when I first started it because it’s got steampunk elements to it, and I’ve never been super into that, but oh boy, this was amazing. This reminded me a lot of the Into the Dim series by Janet B Taylor in all the best ways, and I am so excited for a potential sequel. This just came out in February, though, so I have no idea if there will be a sequel, but it’s definitely setup for one, and I’m hoping for it. 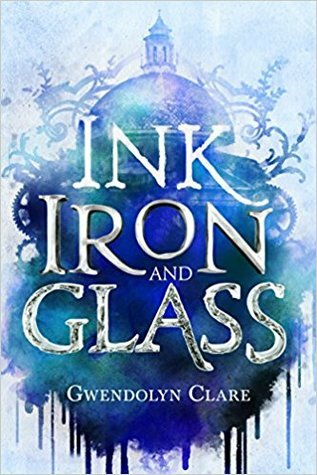 Ink, Iron, and Glass dives into a world where writing other worlds into existence is possible. Elsa is from Veldana, a world scribed into existence by Charles Montaigne. When Elsa’s mother is abducted and brought to Earth, she follows via a portal, and ends up tangled in a political war where she is unknowingly the most dangerous opponent. This had so many good elements in it! The steampunk ones weren’t overwhelming, and were actually a pretty cool part of it. All of the scifi bits (portal travel, the “madness” that shows itself in genius intelligence with alchemy, mechanical, or scriptology) were so well done, and didn’t leave little old me, who is often unsure of scifi, feeling confused. The characters were brilliant, and that plot twist at the end–I didn’t see that coming at all. Overall, this was a really fun read, and I can’t wait for news about the second one. Again, the first one is the very last one of my YA from 2017, the second two are the second books in those trilogies, I’m back to my TMI reread, and I’ve been craving Inkheart for reasons unknown. Hopefully, this month I’ll actually be able to finish everything on my list with a few more added in. My goal is ten this month, so fingers crossed! I actually really love Cassandra Clare! I read The Mortal Instruments series several years ago, and have been wanting to reread it, so I’m slowly working my way through it again. Oh *facepalm* What is your favorite book of hers? So far, I’ve only read The Mortal Instruments, and I honestly can’t remember most of them, haha. My goal this year is to reread all of them and then read everything else that I’ve missed out on. I honestly am so far behind on those books. I need to read the dark artifacts. But I think I loved the infernal devices over the mortal instruments to be honest.